Under construction: Bayshore floor plan. Available soon in Tampa's most desirable townhome community Westshore Village! 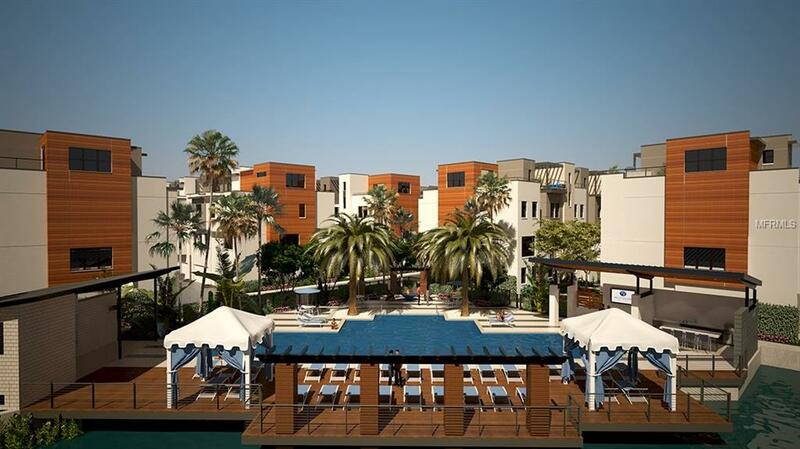 This community will have 92 Block Town homes in the heart of Tampa Bay next to International Mall and just minutes from the airport and Downtown Tampa. 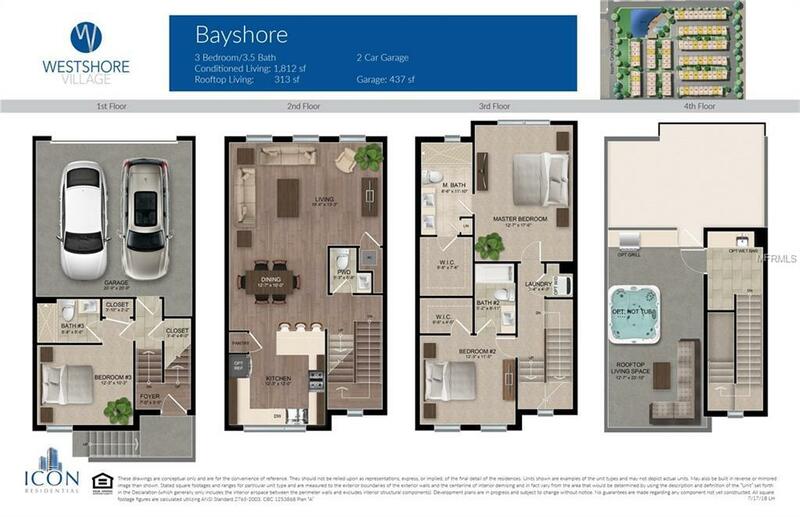 The "Bayshore" floor plan has an open floor plan with a first-floor bedroom & full bath. These townhouses are block construction and have PGT hurricane rated windows and doors. An array of designer finishes have been chosen. 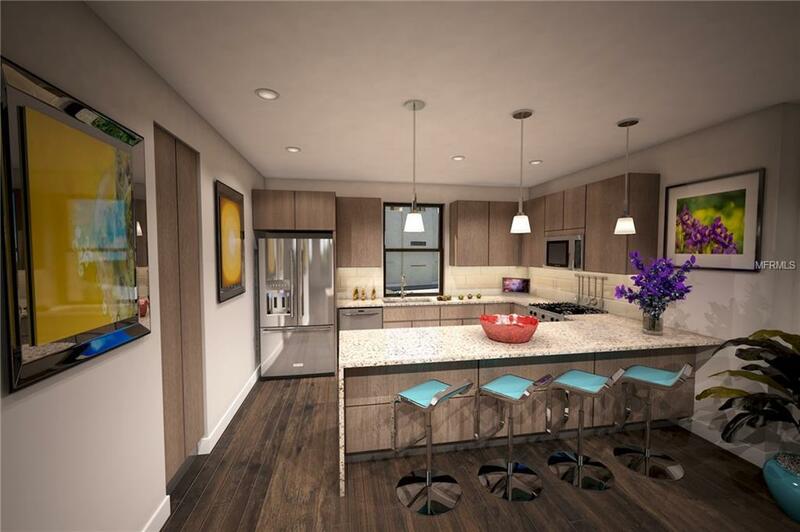 Included are 42 European Cabinetry, Mowhawk engineered flooring on main level, Quartz counter tops in the kitchen and all bathrooms, mosaic glass back splash, 12x24 ceramic tile, KitchenAid SS appliances including gas range, dishwasher, and microwave. The master bathroom features dual sinks, European cabinetry and a semi frameless glass shower door. 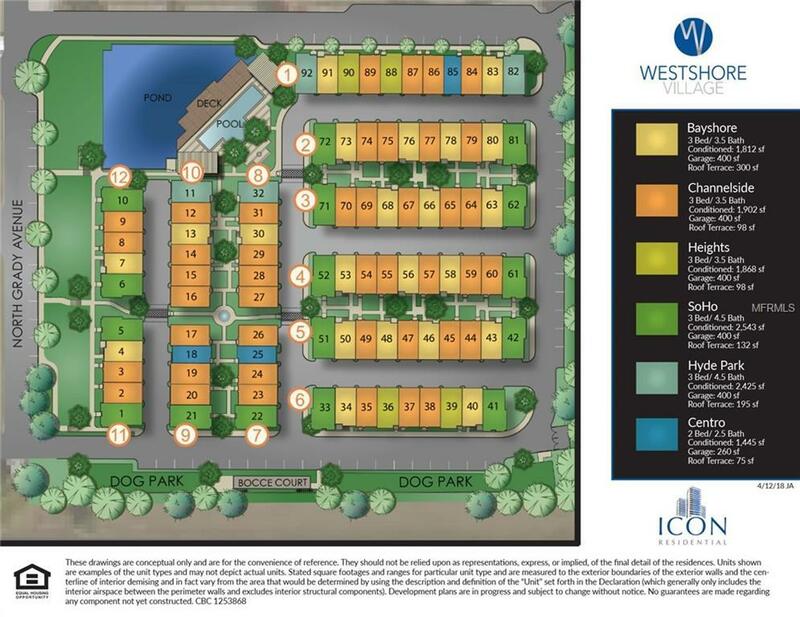 Westshore Village will have many amenities including a pool, outdoor clubhouse with kitchen and gas grill, dog park, bocce ball/shuffleboard court and lush landscaping that features a pond. You can walk to many restaurants including Coopers Hawk, Del Friscos, Prime Thai, Eddie Vs, Kona, Miller's Ale House, Cigar City, and even The International Mall! This is fee simple town home ownership (not condo) and is eligible for a conventional 3% down payment or a VA loan for those who qualify. Renderings subject to change. Listing provided courtesy of Crestview Realty Group Llc.